Needed to wait 50 minutes for just a simple masala dish. The food itself was fine but the service was not. All of a sudden the waiter didn’t spoke English and I had the vast impression that because of the discount the service was less. Unfortunately as was looking forward to this because of the good rating. Had an amazing meal. Best Indian I’ve ever had in Spain. Lovely staff and grey tasting authentic food. 10/10! What a fantastic little restaurant! We are from South Wales in the UK and regularly visit the area, but have only recently have stumbled upon this fantastic Indian restaurant. The local area is blessed with great places to eat but lacks severely if, like most Brits on holiday, you fancy a curry. 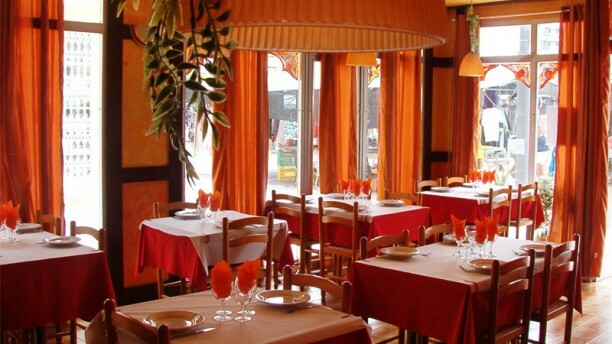 The staff are very well presented and friendly and the meals are delicious. The chef will tailor the spice in your curry to suit your taste buds. I recommend the “chef special Jal Frezi.” It’s not too hot but made with fresh spices and herbs and is beautiful. The Taj Mahal compares to any top notch Indian back in the UK. ( and we know quite a few ). €25 a head with 3 courses and 6 bottles of Cobra each. Good food, friendly staff. Will be there a 2nd time!